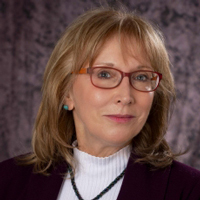 Areas of Expertise: Visual rhetoric of political and organizational communication, strategic communication campaigns, corporate social responsibilityJanis Teruggi Page, Ph.D. is an adjunct professor in the Strategic Public Relations online master’s program. Before joining academia in 2005, she directed strategic communications for U.S. business and consumer magazines. She continues to consult through MediaWerksPR based in Chicago. Dr. Page is the author of more than 50 book chapters, journal articles, and conference papers. Her doctoral dissertation, “Toward a theory of visual narrative” advanced analysis of multimodal visuals. Later research on political campaign visual messaging and issue advertising in social media received two “top faculty paper” awards from the visual communication division of AEJMC. Her work has recently appeared in the Routledge Handbook of Strategic Communication and in edited volumes on PR ethics, visual persuasion, international public opinion, and postmodern culture. Her textbook, Introduction to Strategic Public Relations: Digital, Global, and Socially Responsible Communication, is co-authored with SPR program director Professor Lawrence Parnell and will be published in January 2018 by Sage. She also is co-authoring a textbook on the application of visual theory to strategic communication, due out in fall 2018 from Wiley-Blackwell. She has taught more than 20 diverse public relations, strategic communications, and media studies courses as a full-time faculty member at the University of Florida, Purdue University, and American University in Washington, DC. She has also instructed graduate courses in integrated marketing communication and public relations as an adjunct at Medill School of Journalism and Missouri School of Journalism, and has led study abroad courses in Argentina, France, Greece, and Spain. Dr. Page is a member of the Association for Education in Journalism and Mass Communication (AEJMC), the International Communication Association (ICA), the National Communication Association (NCA), and the Public Relations Society of America (PRSA). Does political humor matter? You betcha! Comedy TV’s performance of the 2008 vice presidential debate. The Journal of Popular Culture, 46(3), 545-565. Obama as anti-American: Visual folklore in right-wing forwarded emails and construction of conservative social identity. The Journal of American Folklore, 125(496), 177-203. Our flag was still there’: The American flag news images following 9-11. The Americanist, 27. Battle of visions: Dueling images of morality in US political campaign TV ads. Communication, Culture and Critique, 2(1), 110-135. A public journalism response to organizational ethics violations: A case study of a public health crisis in an American school. Journalism Practice, 1(2), 261-276. Myth and photography in advertising: A semiotic analysis. Visual Communication Quarterly, 13(2), 90-109.